· Does anyone know me for who I really am? · Am I going to have to “fake it” forever? · What do I have to offer the world? · How can I dream about tomorrow when I can’t even handle today? · Is this all my life will ever be? · Do I dare to dream of more? With passion and enthusiasm, Pat Layton invites you to imagine a life where you experience peace with the past, enjoy purpose in the present, and expect the possibilities that the future holds. With fresh personal tools and clear action steps, she delves deep into the areas we get stuck in the most and unveils the path to the life you long to live. You are a one-of-a-kind design. 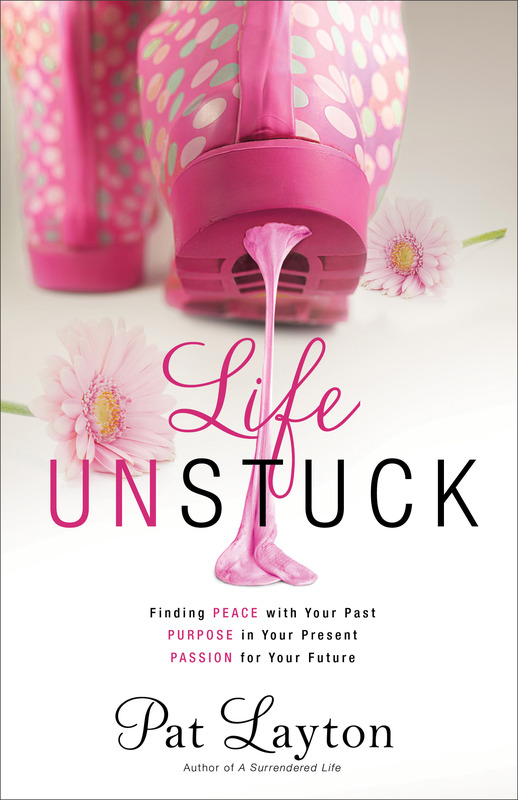 Life Unstuck will help you live like you believe it! Pat Layton, founder and president of Life Impact Network, serves on the board of directors of Proverbs 31 Ministries and is a busy speaker, author, and life coach specializing in “dream design” for women. She is founder of “Imagine Me . . . Redeemed, Restored, Renewed . . . Set Free,” a national women’s conference, and the author of A Surrendered Life. She and her husband, Mike, have three children and five grandchildren. The main focus in this book is that God doesn’t want us to feel stuck in our life situations. And author Pat Layton does an amazing job to teaching her readers scriptures from the Bible, and lessons that will help in realizing this. And I really like her approach to teaching, she makes it so simple that anyone can understand, yet so deep in he scriptures that we can understand the heart of God. I highly recommend this special book to all ladies, because we all feel stuck in life at some point.